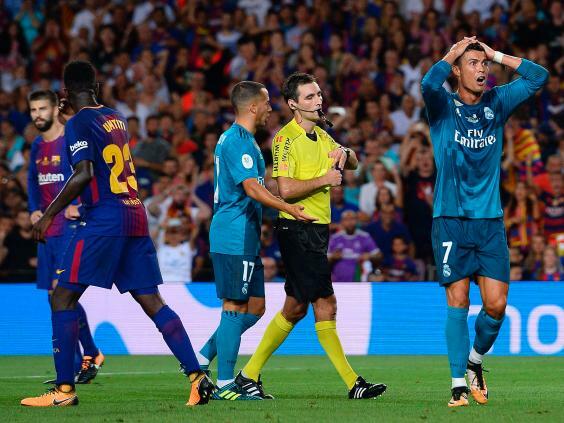 Cristiano Ronaldo went from being the hero to being the one with the red card in a matter of a few minutes as Real Madrid bagged a win the first El Clasico match of the 2017-18 season at the Nou Camp. The match ended with the scoreboard reading Barcelona 1-3 Real Madrid. 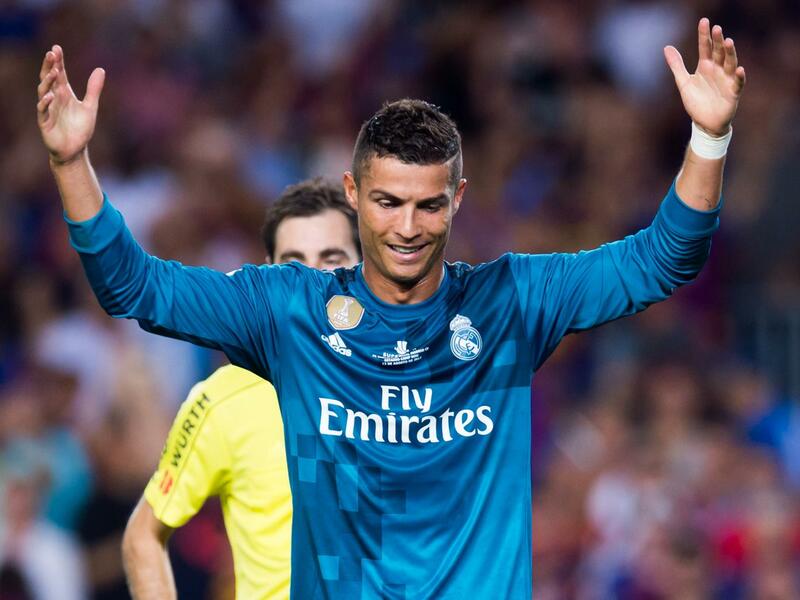 Ronaldo was left out of the starting lineup of the Super Cup first leg, and was introduced only as a sub. His effort put Real on the lead at a crucial time, with just left minutes left of the match, but the player was sent off the match after he picked two yellow cards. To make matters worse, the player pushed referee Ricardo de Burgos Bengoetxea after he was shown the red card. The big news before the match was the absence of Ronaldo who had eased back into complete fitness after his extended summer break after the Confed Cup, earlier this summer. It was expected that he would surely get about 30 min or so, as he was among the subs. 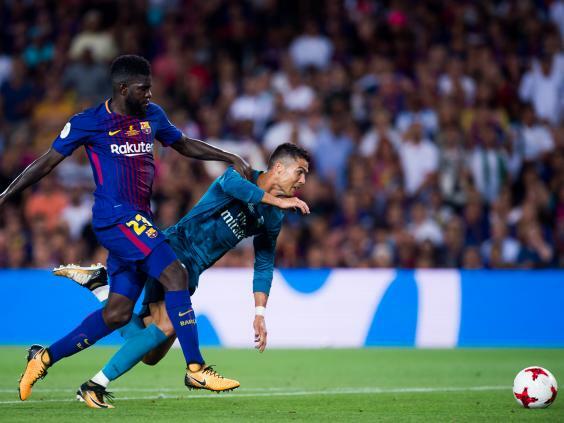 The first half did not see Ronaldo on the field, and the player was expected at some point in the second half. Whether or not it would be at the interval, or until the hour mark was the big question at this point. No changes were made in the initial stage of the second half. In the 48th minute, Messi pleaded for a penalty, after he went down following an alleged contact from Ramos. In the 59th min, Zidane turned to the ace of his team, as he replaced Benzema with Ronaldo, and this was after one hour had been played. In the 69th min, with just a quarter of the match left, Madrid came close to bagging the second goal, with the first one being an own goal by Pique. At this point, Ronaldo turned a cross by Bale into an audacious bicycle kick, but it narrowly went off the target. 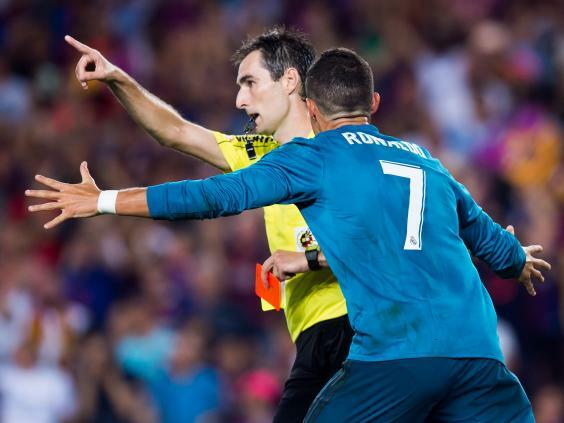 In the 71st min, Ronaldo managed to beat the Barca keeper to send the ball into the net, but the goal was disallowed, as the offside flag went up. However, it was evident that the boys were closing in on their second goal of the evening. In the 81st min, about 20 min after getting introduced, Ronaldo justified his presence in the match. 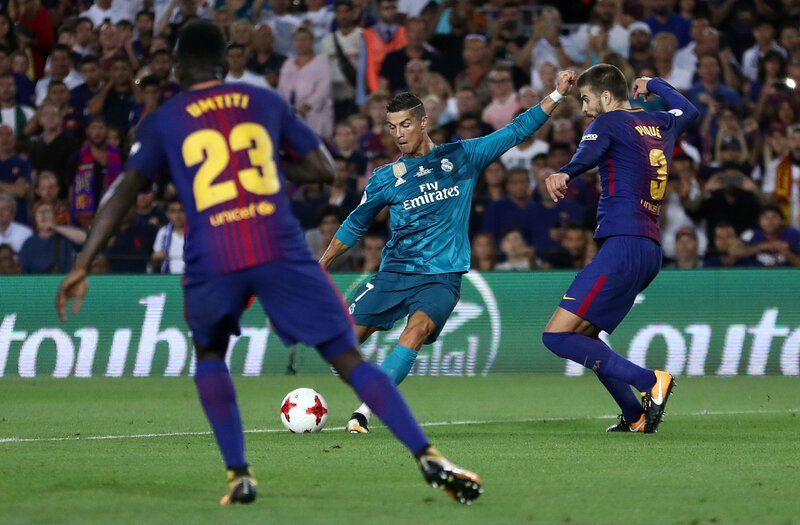 By this time, Messi’s team had levelled with Real on the scoreboard, but Ronaldo sent a sublime shot from the edge of the box, to take Real back to the lead. 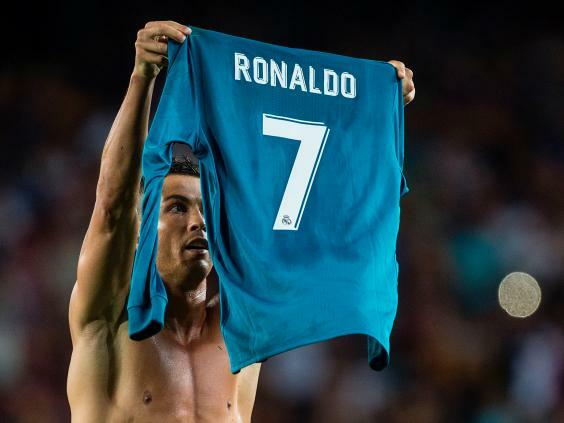 Ronaldo saw his first yellow card after he removed his jersey to celebrate the goal, and tried to recreate the celebration by Messi in the El Clasico match of 2016-17 season. 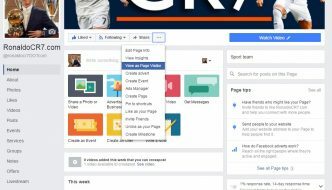 The second one came in the 83rd min as Ronaldo went down inside the box, and instead of giving a penalty kick to his team, the referee booked him for diving. Ronaldo thus got dismissed. This was indeed a harsh sentence, and Ronaldo was clearly upset. On his way out of the pitch, the 32-year old pushed De Burgos Bengoetxea in the back.